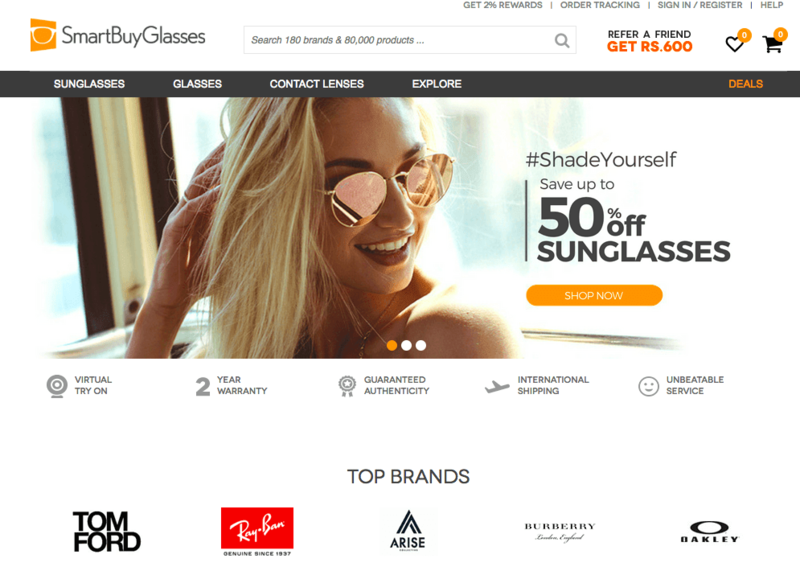 Best Six Websites To Buy Sunglasses Or Eyewear Online: Anyone who wears glasses will know just how frustrating it is to buy a pair of frames. Stores have a very limited option to choose from and sometimes are just too pricey. Hence the online option- websites have thousands of frames made by dozens of companies to choose from. There are several key factors that contribute to the purchase of eyewear like the style, color, frame lens shape etc. Featuring a classic black round frame with a smoke colored lens these glasses give you a standing out edge in public. The frame is versatile and can fit in with any attire of your wardrobe. The retail price of the frame is ₹1000 but on Cool Winks, you will get a flat 15% discount allowing you to purchase it for a cool ₹850. This frame showcase the appeal of pilot style frames with a smoke tinted lens. These vogue shades are befitting to match anything you got in your closet. In addition to which it comes with a highly flexible and durable frame. While the actual price of the frame is ₹2350 on Cool Winks you can purchase it for ₹1410 that is a discount of up to 40% off. These stylish and trendy full frame glasses from Graviate are of the highest quality. It not only focuses on design but also on using the best materials for a sturdy and durable build. The Graviate Tortoise Full Frame Round Computer Glasses is on sale for a discount in excess of 20%. While the products retail for ₹2244 you can purchase it for a decent ₹1750. Wearing the Fave Gradient Retro glasses is like hitting the rewind button and going back to the 80’s classics. These shades feature retro square frames with a touch of modern day fashion. The MRP of the shades are ₹2350 but on Cool Winks, it is available for purchase for the discounted price of ₹1410 a flat 40% off. This silver aviator framed, a full rimed pair of metal shades is made especially for women. It also has a Purple Polarized lens that makes your surroundings easy on the eye. This frame by LMNT originally costs ₹3732 but on Smart Buy Glasses you can purchase it for ₹1866 by availing of a massive 50% flat discount. This frame is offered to you from the exclusive Smart Buy Collection. This black unisex frame is perfect for your reading or computer use. You can change the lens according to your needs and prescription. The Kendall by Smart Buy Collection retails for ₹3802 but is now available for a flat 50% off. The discounted price for the frame is just ₹1901. These shades come in a black frame with a light blue lens. It has a full rim metal frame that is made from a lightweight polycarbonate material that provides UV protection and is extremely comfortable. The Mariah retails for a price of ₹1866 on Smart Buy Glasses, which is nearly a 50% discount on its original price of ₹3732. The Zack is shaped like an Aviator. Its frame is a full rim made using acetate that keeps it comfortable to wear and durable for long. Smart Buy Glasses also provides you with free prescription lenses, so make sure to mention you’re correct information while purchasing the product. 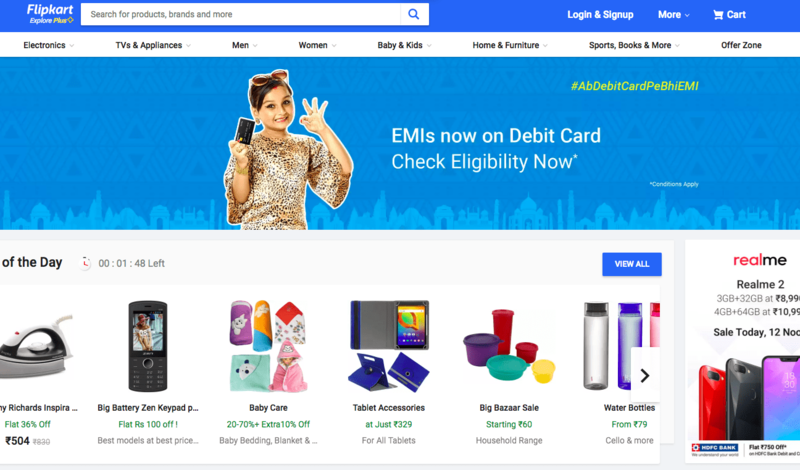 The MRP price of Smart Buy’s Zack is ₹3802 but on their website, they offer a flat 50% discount. You can purchase this pair of glasses for a price of ₹1901. The frame of this prescription glasses is made from the strong but flexible Acetate material. Shaped in a rectangular form this frame supports progressive lenses as well as bifocals. The retro club brown gold frame costs ₹1690 on the Eye Do website. It is a unisex full frame round sunglasses with an acetate frame and a steel temple. It also has a dark grey CR lens covered by a stylish red and black round casing. The Zero 5055 black and red shades are available on the website and app of Eye Do for the cost of ₹3950. With its Cat Eye frame, this frame is ideal for women. The glasses support bifocal lenses as well as progressive lenses making its function flexible in nature. The frame is made completely of steel and temple of acetate making it long lasting and durable. 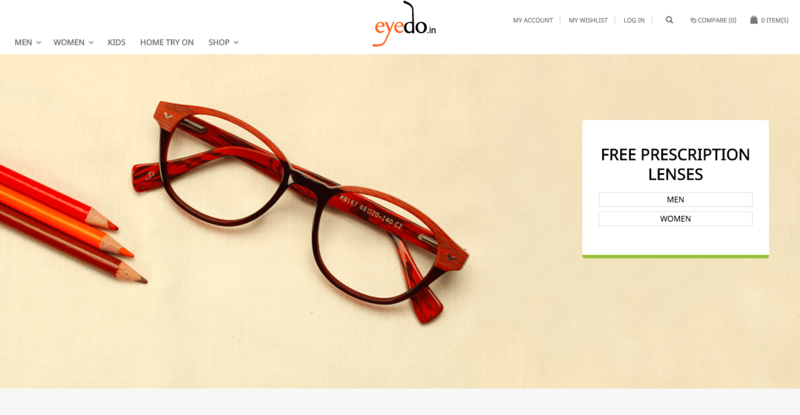 On the app and website of Eye Do the Jim Parker Blue Gold Eyeglasses cost a relatively cheaper price of ₹1390. These rectangular shaped sunglasses is one of the best around. It can be used as a Day & Night glasses, its tinted purple lense color can be converted into a prescription frame for your everyday needs. It works flawlessly with progressive and bifocal lenses and is made entirely of titanium- both frame and temple. The Varg Sunglasses Gun cost 15500 on the Eye Do website. The large frame comes with a 100% UV protection guarantee and is available in black and grey colored frames along with a polycarbonate grey lens. The Farenheit UV Protection Rectangular Sunglasses is available on Amazon at a 60% discount. That means the frame that used to cost ₹3999 will now cost you just ₹1590. With the stunning look and flashy colors this pair of shades is surely going to make heads turn. Its glossy cool look comes with a fully metal frame that makes it stylish as well as long lasting. The Ray Ban Aviator Sunglasses costs ₹2134 on Amazon. That is more than 60% off on its original price of ₹5699. The Fastrack Retro Sunglasses has a polarized black lens make, the pair is also has a UV certification of 400 protection. Its full black frame is made out of plastic. The retail price of this pair of Fastrack shades was ₹799. 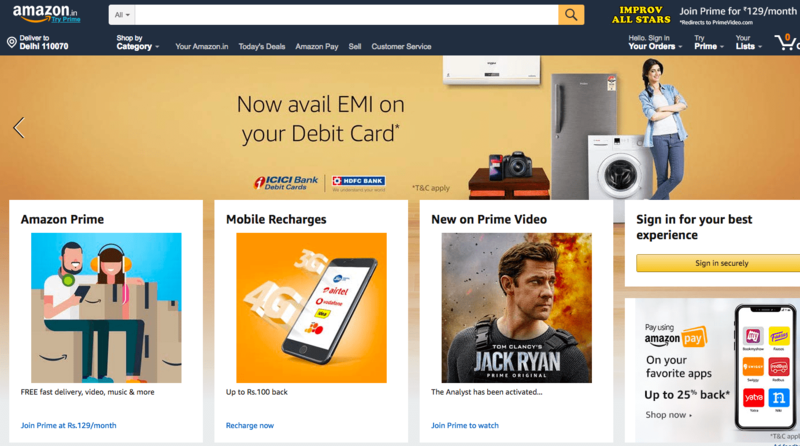 But on Flipkart buyers will get discounts of up to 25% off. You can now purchase this product for as little as ₹607. This product is a green round unisex pair of sunglasses made by Farenheit. Its round green lenses are made of the durable polycarbonate and its dark brown frame is made entirely of metal. On the Flipkart website and mobile app, you can purchase this sunglasses at a discount of up to 60%. The product that once costs ₹3499 is now made available for ₹1439. Vincent Chase has introduced its latest line of 100% UV protection sunglasses. This pair is not only stylish but also has a lens that filters light in a natural way to protect your eye. These Vincent Chase sunglasses is exclusively available on LensKart at a special discounted price of ₹999. 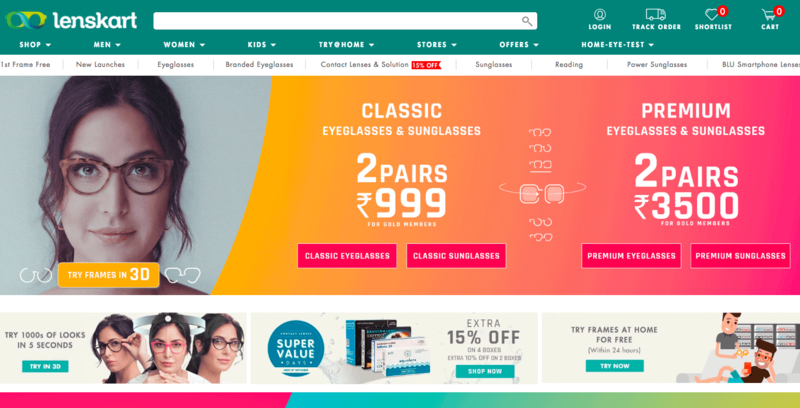 Customers can also use Lenskart coupons to benefit from additional discounts and other offers. John Jacobs is known of its versatile aviator shaped sunglasses and is beloved by many. This pair has a sleek design that will make it a timeless classic. 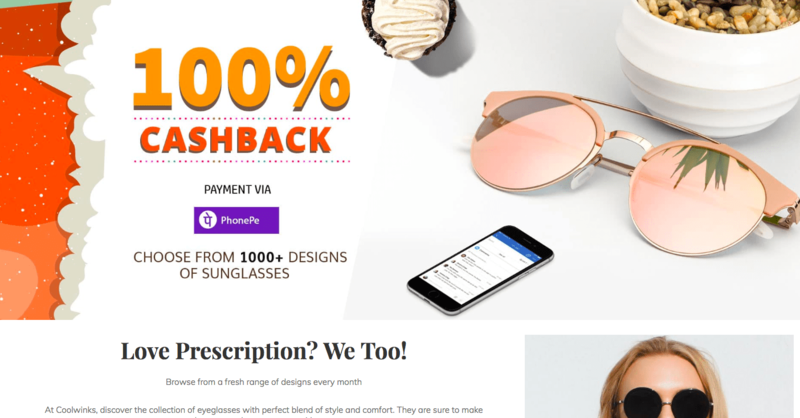 On the website and app of Lens Kart, you will find several exclusive offers for several sunglasses and eye care products, you can use Lens Kart coupons to earn additional cashback and avail of discounts. This John Jacobs pair of shades has an exclusive price of ₹3500 only on Lens Kart. These golden green sunglasses comes with a 400 UV Protection certification. Its full metal frame is durable and guarantees a comfortable feel. These shades are glorified by sleek hinges and an aerodynamic template that ends in a black toned ear piece. It also has a gun metal rim and stylish grey lenses. You can buy this product on Lens Kart for ₹1199 and avail of special discounts and offers by using the Lens Kart coupons. There is also a special buy 1 get 1 free offer for Lens Kart members. Sunglasses are a fashion staple as they add an element of style to your appurtenance. There are a large variety of shades and eye wear available with thousands of styles and functions. So don’t forget to try the products we mentioned above and check out Lens Kart for the best deals on some of the best eye care products available. You can use Lens Kart coupons and get cash back offers, large discounts and buy 1 get 1 free offers so hurry.